b r o o k l y n t w e e d: New Look. Same Great Wool. New Look. Same Great Wool. I'm proud to say that today welcomes a woefully overdue makeover to Brooklyn Tweed Proper. I've been slowly but surely redesigning my website with hopes of finishing it up by the first of the month. 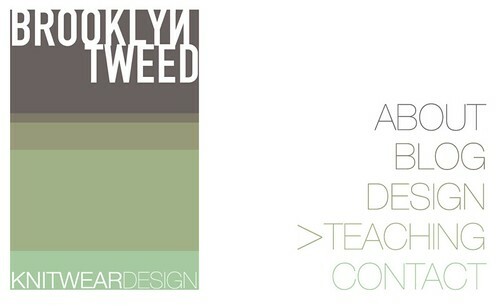 I may have missed my mark by a day or two, but I'm happy to show you my new duds at the new fangled www.brooklyntweed.net! Click the image above for a peek. Most notably, my travel schedule is now available all in one place for easy viewing, and easy locating! I have all my scheduled workshops through the end of the year listed presently and will be listing 2010 dates shortly. Additionally, the design section of the site has all my patterns in one place for ease in looking up pattern specifics or for purchasing where applicable. I've gone for a clean, light look with hopes that things are easy to find and the space is nice on your eyes. I hope you like it! As for the blog -- my blogger site is linked directly from the main site at the moment. I intend on a more seamless (har, har) integration in the future, but I think we shouldn't change too much too fast, for fear of overstimulation or disorientation! As for the knitting. Well. It's cable season. I've been spending a good portion of my days on airplanes or in hotels and therefore have filled my life with small (portable) cable projects in some of my favorite yarns. Projects that don't require carrying anything other than a good sturdy circular needle and the knitting that's hanging off of it. Leave the cable needles and papers at home. That's my kind of travel! I even squeezed in a little time for some... wait for it... handspinning. I know. I can hear you gasping from across The Expanse. It's been awhile! It felt wonderful hearing that comforting whirrrr of the wheel and letting the fiber flow. 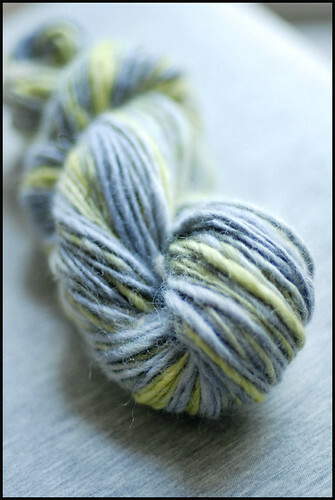 This is a skein of 70% alpaca, 30% blue faced leicester wool spun rather lazily into a bulky, textural single. I'm new to alpaca spinning so this was a fun experiment. I intentionally fulled the yarn a bit during washing and love the finished texture. Who knows what this skein will become one day... for now I'm happy petting it on my way out the door. The new website looks great, I love the font and crisp styling. I'm also very jealous of your thick spinning.. I'm at a point where I can only spin teeny thin singles, and attempting anything thicker results in a lumpy, uneven mess! Love the new website - easy to navigate and great photos as always. Looking forward to the new scarf pattern. Looks yummy! As usual the photos and projects are inspiring, and I can't wait to meet you on Friday! It's glorious in Bellingham these days: fall color at it's best. Having said that, just got back from Tuscany and it was equally gorgeous there. Looking forward to baby designs! Congratulations on becoming an Uncle! Yes, that little one is going to be covered in a mountain of hand knits! The new web site is lovely, it suits your style perfectly. Ooh, that new scarf. In YAK!! Can't wait for the details. I love the overall clean look of the new site, and of course the designs, but please consider losing the backward N and the stylized strokeless A in the display lettering, which just look bogus (and, if you read the Cyrillic alphabet, downright wrong). What an incredible body of exquisite designs. I love the new blog. And I just have to let you know about my epiphany as a result of the second part of your article in Vogue Knitting - I designed and knitted a fab cotton summer top (well I am down under), completely in the round without seams - and it looks GOOD. An uncle at last? Congratulations!!! Boy or girl? Weight? Length? Age now? (My sister's engaged, and I'm getting gooey over babies, forgive me)! Forgot to ask, what did you make the new arrival first? I like your new site! I have also been bit by the spinning bug....happens every year when the temperatures start to drop! I've been spinning again lately after a long hiatus, and I'm loving it. The new website looks clean, the colours are soft and pleasing and I like the spare design, but I find the backward N's in your text (Teaching, Contact, etc) disturbing and ugly - they do nothing for the design but jar the eye and destroy the aesthetic beauty. The open A's are similarly disturbing, but not quite as jarring as those N's. (Your word verification is "RUMPH" - I suppose that's what this comment sounds like, lol). Congratulations on the website! They are a bear to put together and create. Overall your website looks great and is easy to navigate. Did you want active links to the websites of the stores where you will be teaching? I agree about the N and the A. The Backward N is especially jarring to my eyes. Also the usage isn't consistent from page to page; the N and A vary. Visual consistency helps the perception of orderliness. Looking forward to seeing new creations of baby clothes for the wee one! The new site is stunning. The colours are perfect and it's so easy to navigate. Love it! Congrats on the new digs! I didn't know there was a specific season for cable. I like cable season! 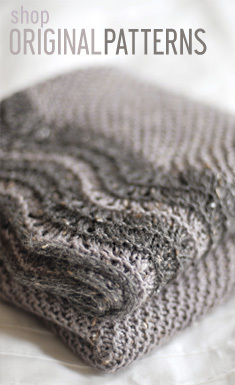 Love the subdued colors of your new site; very soothing, just like knitting! And cool, just like Brooklyn! Your new site is beautiful. As usual, your artistic sense is lovely and calm and makes me want to linger a while. So may wonderful things. First of all, congratulations on becoming an uncle. That is one lucky (and no doubt warm) baby! The redesign is fab. And I can't wait to hear more about that scarf! I remember being excited about it way back when. 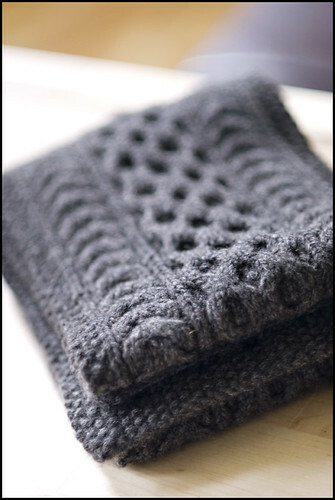 Fingers crossed you'll publish the pattern! Congratulations all around! The new site looks great, hurray for finished projects and yay to uncle-hood! The scarf looks amazing! 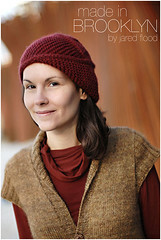 I cannot wait for the pattern - hopefully in time to knit it up for my husband for Christmas. I really enjoyed the lace class with you at Knitch. You are one great teacher!! Happy Uncling. Aunting has been one of my greatest joys in life. oooh - what I wouldn't give to be that baby! Can't wait to see the baby and baby woolies. Yay for being an uncle! And the new site is looking really nice. I'll be seeing you for your Aran design class on Saturday. :) So excited that you'll be in Texas! Congratulations on the birth of your new website and a very blessed little niece or nephew. Blankets, sweaters, leggings...I don't know who is luckier...the wearer or the maker. I think you both win. I can't wait to see the deets on the scarf. The sneak peak has me drooling! I agree with ER - the backward N and cross bar-less A look, um, posed. Fake. I don't know - wrong. I like the clean style, and trust me, I'm a librarian who spends a ridiculous amount of time doing research that involces reading fussy, cluttered websites. I like the new site with the exception of the front page. It lacks framing. Suggestion: use a pale beige as the background and frame the content area against a white background. Or add a horizontal bar on the main page in the same location as the internal page without the top nav menu. The "p" of "published" in the last sentence on the About page hangs below the image (needs a bottom margin of 5 to 8px). 1 - on becoming an uncle. Family is precious. 2 - on your new web site. It is nicely done. The new site looks great! Can't wait to see more of that scarf. I like the look of the new site. It's very clean and uncluttered, which is sometimes really hard to find. you know what's coming...yup, the dreaded "N, A" comment. It just stopped me in my tracks. It was the only thing I saw right away. I'm afraid that means it detracts rather than adds to the wonderful sleek new look. Your photos usually SAY IT ALL!! Glad you share your wonderful talents with the knitting world...and me, too! Love the new format. Glad to hear from you again. It's always a treat. The website design (and execution)is fabulous. I dare say, the cleanest, most navigable site I think I've ever seen. Just gorgeous. Congratulations, from a longtime lurker. Your new site is beautiful, light and crisp, and easy to navigate. And the scarf is stunning, hope to be able to knit it for Christmas. Love the new look and I'll keep watching your schedule in case you make it to Wyoming or even Denver! Congrats on uncle status. The new site looks quite nice! I love it. Congrats on becoming an uncle! I'm going to be an auntie come February, and am already busy plotting how I will wrap the little one in wool. Another one here for the A and N to go normal, please. The font should not distract from the message, and I'm afraid it does for me. I will try and catch you while you're in Portland. Bring your rain gear, it's that time again. It poured all day. Congratulations on the website and the new kiddo in your life! I'm a transplant from Seattle living in northeast Ohio, and fall always makes me miss the west coast. Have a great trip. I'm leaving tomorrow. Heading westbound until I reach home. :) Pacific SW. So far south that you can almost swear you're in Mexico, and not because of the heat. Sigh. That scarf looks great! Can't wait to see the post! Congratulations on that little bundle of joy! "Prepare for onslaught" nothing! "Prepare for a life of spoiled luxury" more like! I just got my alumni magazine and learned that you are also a University of Puget Sound graduate. Cool! I had this, "Wait a minute! I know him!" feeling when I saw the page on you. I like your website a lot, except that (sorry!) I think you should lose the weird, affected N's and A's and capitalize normally throughout. Your stuff is very cool; your site is cool. Don't work it too hard. Congratulations on your success! 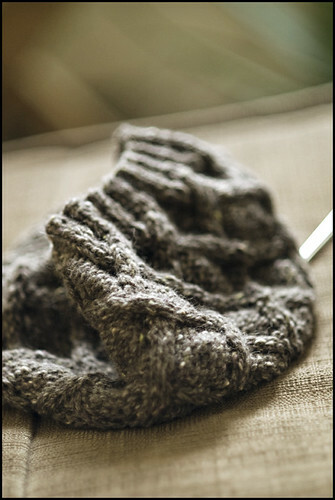 I have been knitting with you via your blog for a few years now and am so proud of you! Your website is wonderful and the N's and A's are cool too :) Keep sharing your talent with all of us via your blog, books and website; and enjoy every stitch of every day. Congratulations on unclehood, Jared. Be the cool uncle that we all know and you will be rewarded when you are old and need them to clean your gutters. I like the clean look of the website layout, color, and font. I can understand the choice of the title font for the funk but it doesn't quite work. It's tough to find the right font; you're in the right direction. My verification word is ditylite. Is that a small manpurse, a toiletries accessory, or a very fey song? okay i may sound like a fan girl right now. but i am just so jealous of your awesomeness that you infuse in your knitting! i can't focus on much more than casting on nowadays. As alway, LOVE your photos. one seriously lucky one .... you can wool onslaught me any day ;-) Gorgeous stuff ... as always. Great job on the website. it's nice to see your presence getting a more professional polish although you've been putting the rest of us bloggers to shame with your photos! Congratulations on the success you are gaining. Congratulations on becoming an Uncle! The scarf is breath-taking! Your website is awesome! your new site looks awesome, your knitting looks beautiful too! wow the stuff if radical. your the desiguel of tweed. Your new website design is fantastic -- so clean, easy to navigate and yet modern and stylish. Please don't leave knitting design to design websites. Thank you for another great year and best wishes for your continued success.